Frank Lloyd Wright (1867-1959) is recognized as one of the greatest architects of the 20th century, with his creative work extending beyond architecture, to graphic design, innovative furniture, art, and textiles. Fans of his work and those who love a modern yet avant-garde aesthetic will be thrilled to know that Wright-inspired pieces for your home are available on Amazon (gasp!). And, no, they don't cost a fortune. Here, table linens, throw pillows, and candleholders we're adding to our shopping carts ASAP. 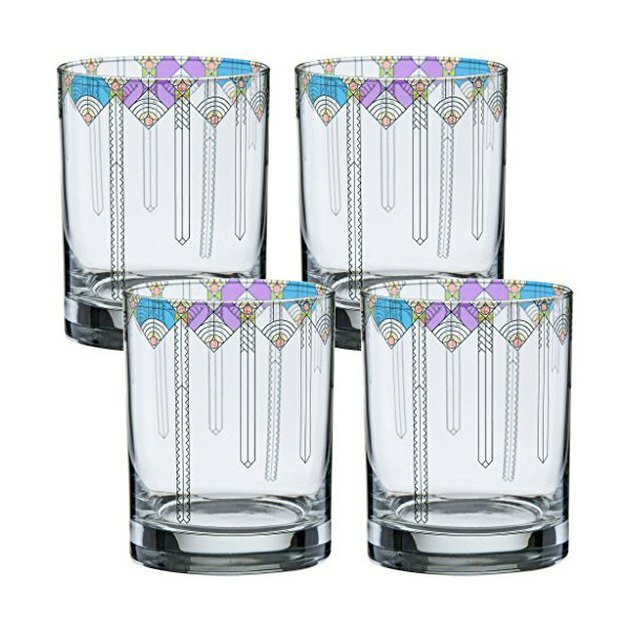 Inspired by a 1927 Liberty Magazine cover, these durable, dishwasher-safe double Old-Fashioned cocktail glasses are pretty enough to display on top of your bar cart or on an open kitchen shelf. Choose from three retro designs: Coonley Playhouse, Saguaro Flower, and April Showers (pictured here). 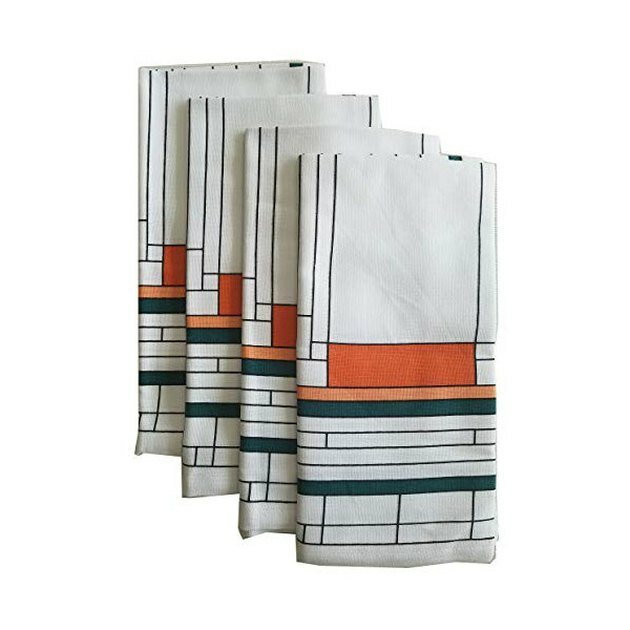 These playful napkins take a cue from "Oak Park," an iconic glass window design from a skylight at Frank Lloyd Wright's 1895 Oak Park home and studio. The clean, modernized design and pop of color make these a no-brainer when entertaining friends. Bonus: They're 100 percent cotton and machine-washable for easy cleaning. 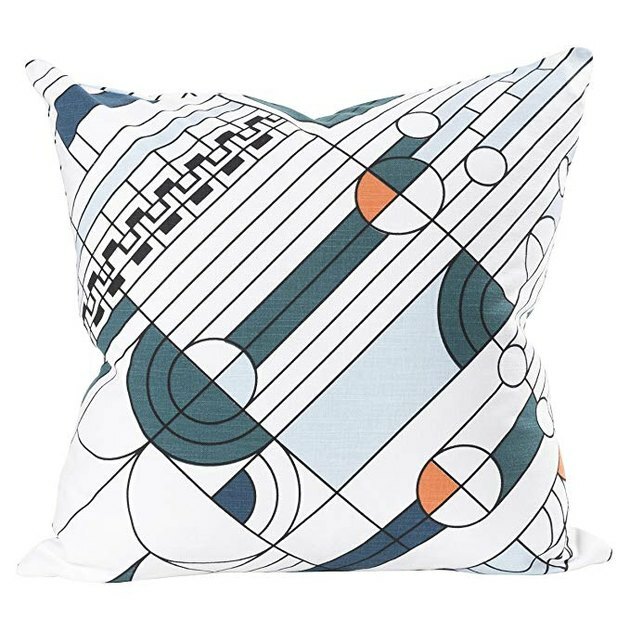 Right at home on your living room sectional or office chair, this geometric (and affordable!) pillow cover combines modern design and avant-garde style. What's also great? A portion of the sales will support the conservation and education programs of Frank Lloyd Wright Foundation. 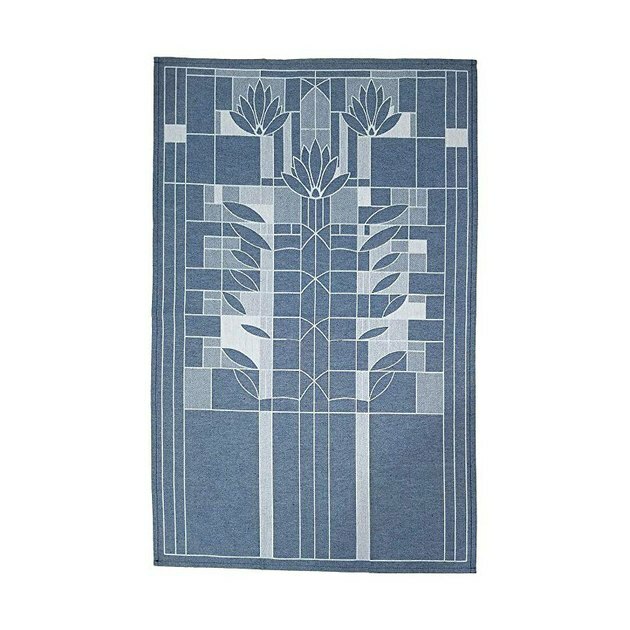 You almost won't want to dirty this beautiful jacquard tea towel. Taking inspiration from "Waterlilies," an art glass window design that Wright never brought to life, the quiet and organic design is guaranteed to elevate and bring tranquility to your kitchen. 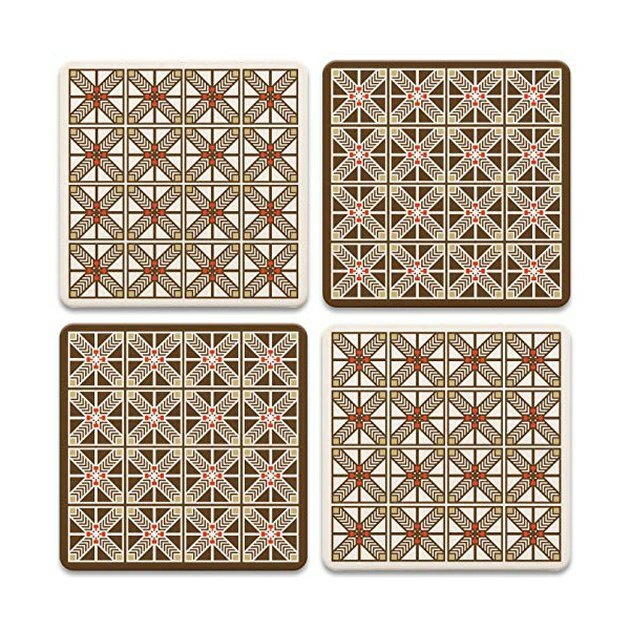 Not to be kept in your coffee table drawer, these stunning coasters are meant to be showcased as mini pieces of Frank Lloyd Wright artwork. The set of four are made of a special stone that absorbs beverage sweat without making a mess. 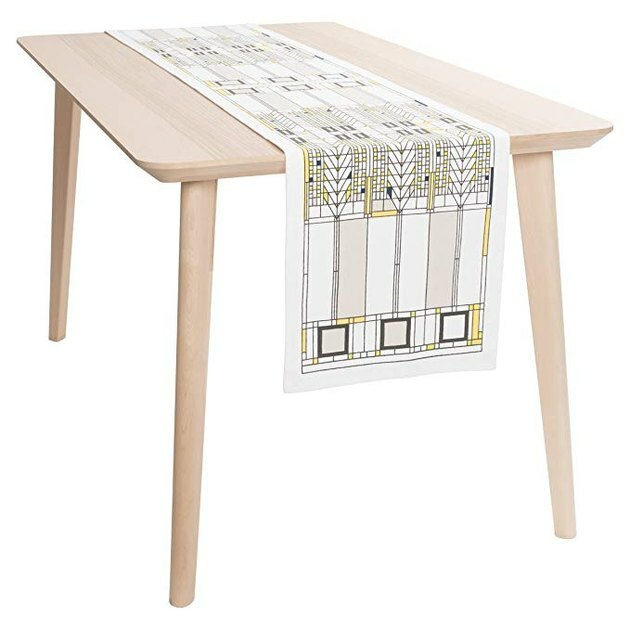 An elegant finishing touch to any tabletop, this printed runner — inspired by Wright's "Tree of Life," an art glass window design at the 1903 Darwin D. Martin House — looks amazing as purely decoration or covered with an Italian spread for a family style meal at home. 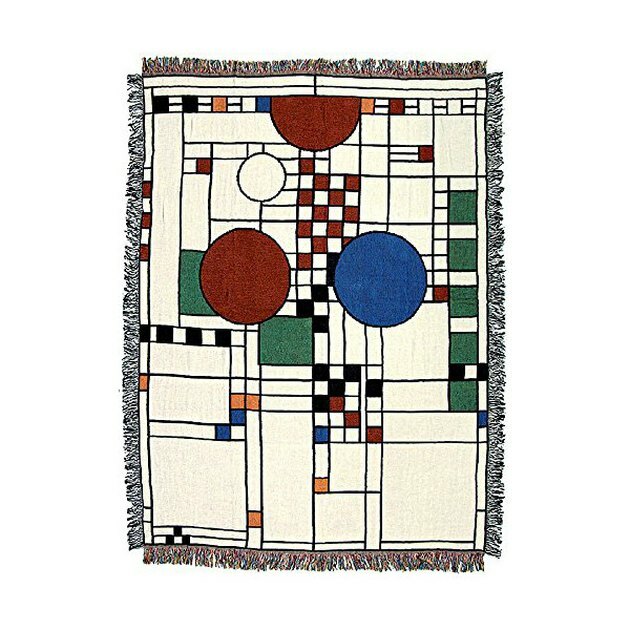 Originally designed for children (the abstract design represents elements seen in a parade, like balloons, flags, and confetti), this unique cotton throw blanket was developed in association with the Frank Lloyd Wright Foundation. Plus, it's machine washable and dryable, so you can forget a dry cleaning bill. 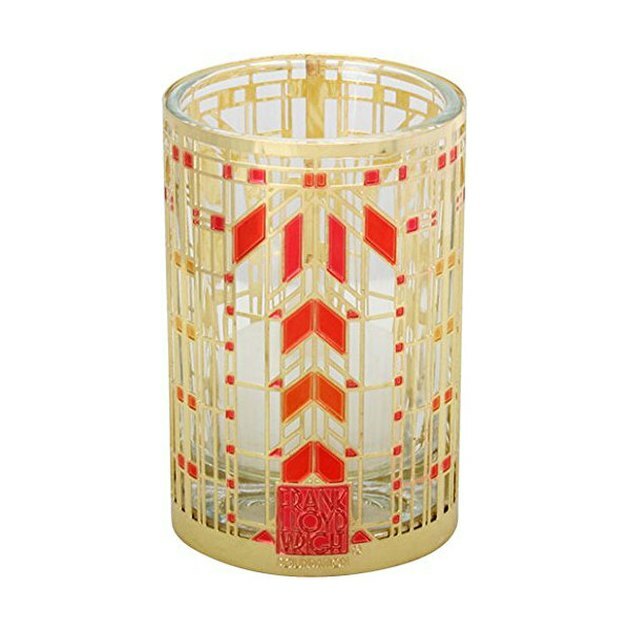 Made of brass and enamel, this votive candleholder mimics a Wright-designed window from a buffet cabinet door in the 1903 Barton House in Buffalo, New York, and makes for the perfect gift. It includes a battery-operated tea light that resembles a yellow flickering flame.